Home > AMT Blog > Born in the U.S. of 80s! Born in the U.S. of 80s! According to my mum, you will forever love the music of the decade you were born in. Without divulging my Mum’s age and being disowned from the family, I will tell you that while she does dig Michael Buble and Celine Dion, nothing makes her smile more than Leslie Gore or King of Rock (unless my dad is doing his Elvis impression – that does tend to make her giggle). Therefore, as a full-blown child of the 80’s, I suppose it would be true that any time I hear Cyndi Lauper, Huey Lewis and the News (whom I did see live several years ago – dude still has it! ), Katrina and the Waves, or Madonna, I become incredibly nostalgic and giddy all at once. I dare say, I believe I’m not the only one that displays these feelings of affection towards the decade that gave us hair bands, fingerless gloves, synthesized pop, and jelly bracelets. Don’t believe me? Leggings have made a fierce comeback along with neon and, without Madonna, there would be no Katy Perry, nor would there be any Beibs without Ricky Springfield. Request any 80’s tune be played at a wedding, or other DJ’ed events, and watch the merriment and mayhem ensue. I can also recount many a car trip which was made bearable by an endless sing along (complete with headbanging and air guitar) to Pat Benatar, AC/DC, and Blondie. 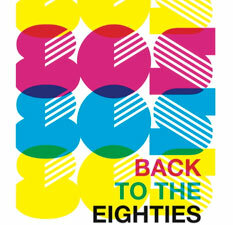 Is it any wonder then that I am completely and TOTALLY psyched out of my mind for PRiMA’s Back to the 80’s? Um, probably not, because it is going to be RAD! PRiMA’s Back to the 80’s blends power ballads and synthesized pop with a heavy dose of dramatic flair. Spandex, guitars, overly permed hair and keytars and a cast of 50 (both of the 80’s and beyond) will breathe new life into the music of Madonna, The Bangles, George Michael and Twisted Sister. And, if all of that isn’t enough hairspray to hold your Flock of Seagull’s hairdo in place, this flashback extravaganza will take place at the most righteous of downtown (Lancaster) clubs – The Chameleon. Whip out the Aqua-net, your boldest neon, and those crazy acid-washed jeans, and join us on Sunday, June 9 (at 7 pm) or Sunday, June 16th (at 2 or 7 pm) for a flashback frenzy that WILL BE totally radical, DUDE! Steph is a hairstylist in Lancaster County and blogger extraordinaire for PRiMA Theatre Company. Check out more of her zany musings at primatheatre.com. Occasionally, American Music Theatre asks other professionals to share their thoughts about music, entertainment, the region, and more. Please check back for more posts from these individuals.